*from the 1996 Preservation Breeding Symposium booklet. The CMK Heritage is a working preservationalist movement emphasizing the beautiful using and companion horses that earned its breed its reputation for versatility, adaptability and soundness. The vision which informs our activities traces originally to the travel writings and the imported horses of the Blunts and Homer Davenport – CMK Arabians are distinctive for their Blunt and Davenport character. Very strong elements descend from the two over-arching cooperator breeder circles of the 1950s and 1960s, founded by H.H, Reese (Old California breeding) and James P. Dean (the Midwest circle). At the same time we value, and seek to preserve, rare CMK ancestral elements, including old sire lines from Maynesboro and the other sources which were not well represented among the Reese and Dean programs, and consequently have become rare. One healthy undertone to the CMK approach is a respect for the regional flavor of the traditional breeding; we emphasize working through local action groups to preserve genetic diversity, and oppose national and international trends toward genetic homogenization. The Crabbet Arabian Stud was founded in 1878 by Wilfrid and Lady Anne Blunt after their desert journeys. Foundation horses from the Bedouin tribes were blended with those descended from the legendary collection of Abbas Pasha I through that of Ali Pasha Sherif – the Egyptian ‘Pasha’ breeding may be seen as an early influential cooperator circle. Although the Crabbet Stud no longer exists as a physical entity the Crabbet heritage prospers in the hands of dedicated breeders throughout the world. The influence exerted by the Blunts and their daughter Lady Wentworth through their writings is a further international unifying theme. Crabbet breeding was continued by Lady Wentworth, who added the Polish outcross Skowronek; and then by C.G. Covey. North America possesses a rich and diversified sampling of both the Blunt and Wentworth aspects of Crabbet breeding. Thanks are due to the early importers Spencer Borden, W.R. Brown, W.K. 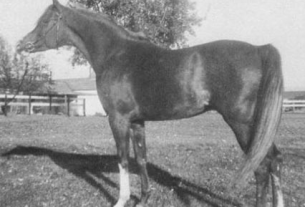 Kellogg (represented particularly strongly through the horses of the Old California Reese circle) and Roger Selby (especially through the Dean circle), and to the farsighted breeders who have added important later Crabbet elements to North America’s gene pool. Virtually every Crabbet foundation animal still represented today in world pedigrees can be found in the background of North American Arabians. Maynesboro, the New Hampshire establishment of W.R. Brown, and the Pomona, California ranch of W.K. Kellogg, played key roles in transmitting the Crabbet heritage. 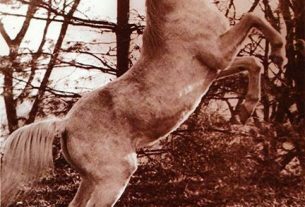 At the same time, Brown and Kellogg, like Lady Wentworth, used Arabians from other sources compatible with the Blunt foundation. Their goal: combining Arabian quality and breed character with sound structure and performance ability. The importance of Crabbet breeding must not leave one thinking “CMK” is somehow “the same as Crabbet” or a diluted form of Crabbet. Too many people outside the CMK ranks have the idea that “it’s all Crabbet” if they don’t know what else to call it. In that mental fog the straight Crabbets, their subsets and their GSB and Crabbet-Old English associates, lose their distinctiveness and are in genuine danger of losing their existence. A point that grows out of CMK’s recognition of the fine distinctions is the appreciation of the specialty programs both in their own right and for combining with other CMK elements. 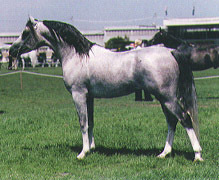 A major contribution to the uniqueness of North America’s Arab-breeding tradition was made by the 1906 desert importation of Homer Davenport – nearly all the Davenport influence in modern pedigrees comes via horses that passed through the Kellogg Ranch. Other direct Eastern sources have enhanced this development and contributed key individuals to the Reese and Dean circles. Likewise the 1947 Hearst horses from Syria and Lebanon blended beautifully with Kellogg and Maynesboro stock already at San Simeon, and their influence is valued in ever-widening circles. The legacies of Donoghue and Lewisfield (Friendship and Al-Marah and Gainey; McCoy and Shalimar and Sunny Acres, Lodwick and Skyline – all those breeding programs which grew out of the Reese and Dean circles) are treasured within the CMK movement, even though CMK was defined after the fact. They transmitted the heritage and appreciated the vision of the Blunts and Davenport. They differed in accidentals, according to the horses they started out with and which mare lines happened to be more prolific or to suit a particular sire. They also came to differ more basically in terms of individual vision. Some breeders have the “eye” for combining horses and some do not, but even if two people are equally good at that, each will develop a personal preference – or they did in the days when we had breeding programs (cf. Gloria Swanson in Sunset Boulevard, “we had faces then”). The nature of biology is variation – there was never a time (nor will be) when all horses of any set were/are identical and beyond criticism (and note that those ideas are not the same anyway). We all prefer the better individuals of any line to the worse, but common sense should tell us we can never reduce an aspect of the Arabian breed to one individual, and still maintain that distinctive kind of horse. Preservation means recognizing that you either have a particular genetic entity, or you don’t. It means breeding good individuals within a coherent biological reality. Most importantly, the CMK Heritage aims to produce and to promote beautiful, companionable horses with real performance ability. This was the vision the Blunts and Davenport brought home from the desert; this was Brown’s reason for having the Maynesboro horses take part in the Army endurance competitions, retiring the Mounted Service Cup; this was what W.K. Kellogg had in mind when he presented his ranch and horses to the U.S. Remount. This is the central idea of the Crabbet/Maynesboro/Kellogg tradition; pedigrees are meaningful only to the extent that the modern horses reflect their ancestors. The horses represented at the Northwest CMK Symposium in 1994 clearly illustrated that the CMK concept is a practical success, and the CMK horses here at Springfield embody the same practical tradition.